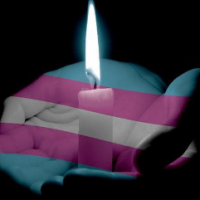 Please plan to join the King Avenue family as we gather to host this annual observation in the memory of those whose lives were lost in acts of anti-transgender violence. The service begins at 7:00pm, but the doors open at 6:30pm. If you can bake 3-4 dozen cookies and or volunteer to help usher this important event please email Steve at expect.sh@gmail.com or fill out a Sunday Welcome Card.